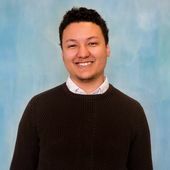 Samuel (any pronouns, Sam, and/or Samuel) served as an AmeriCorps member at Roosvelt High School with the College Access Corps Program with Campus Compact during the 2017-2018 year, and has returned in 2018-19 as the CAC Leader. Sam has received formal training on a wide array of issues linked to equity work, including hate crime legislation, explicit and implicit bias, and ‘power over’ as a social force. Currently, Sam’s scholarly efforts focus on a few core issues: inequity as a form of procedural rhetoric, the ramifications of religious and philosophical beliefs on the practice of equity work, and the ways in which social constructions of bodies become inform social understandings of normative reality. Sam values reflection as a key part community and self- accountability, believing that the effort of understanding why and how one has come to be is worthwhile as part of a broader practice of intentionality. Further, intention is part of Sam’s vision this year, as are compassion and generating tools to redirect systems towards justice.